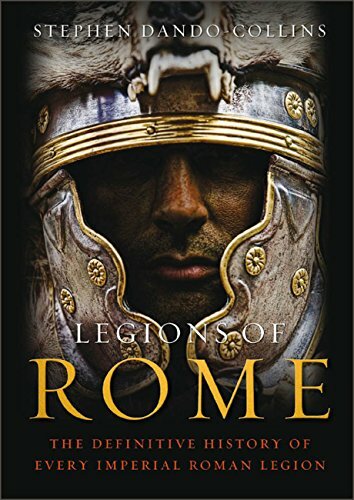 In this landmark publication, Stephen Dando-Collins does what no other author has ever attempted to do: provide a complete history of every Imperial Roman legion. Based on thirty years of meticulous research, he covers every legion of Rome in rich detail. In the first part of the book, the author provides a detailed account of what the legionaries wore and ate, what camp life was like, what they were paid, and how they were motivated and punished. Part two examines the histories of all the legions that served Rome for three hundred years starting in 30 BC. The book's final section is a sweeping chronological survey of the campaigns in which the armies were involved, told from the point of view of the legions. Featuring more than 150 maps, photographs, diagrams and battle plans, Legions of Rome is an essential read for ancient history enthusiasts, military history experts and general readers alike. Available in UK, US, Spanish and Russian editions. © 2018 Curtis Agency. ALL RIGHTS RESERVED.